The Center for Neuromuscular Horse Dentistry is at the cutting edge of equine dental practices. 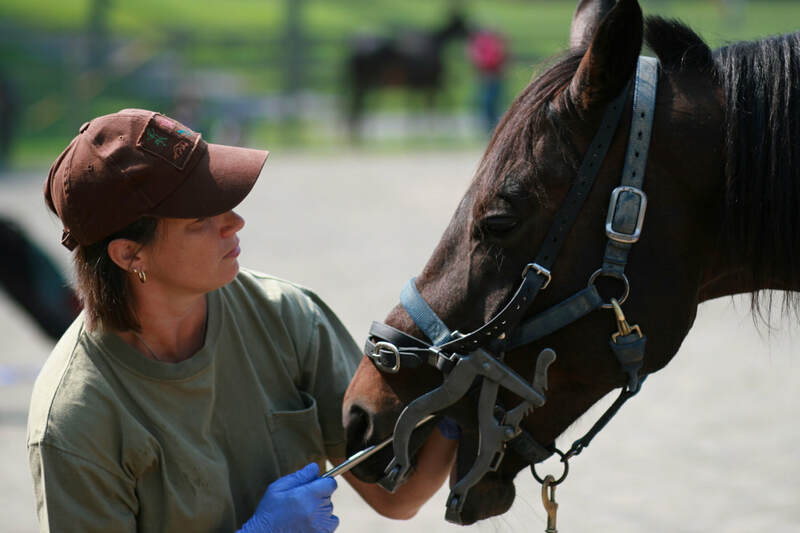 Founded in 2002 by Spencer Laflure, along with Natural Balance Dentistry™, a horse-centered dental practice, the center has been working to make a difference in the lives of horses around the world ever since. Neuromuscular horse dentistry, also known as Natural Balance Dentistry™, is dedicated to realigning the jaw to achieve optimal neuromuscular, proprioceptive and physical function in a horse’s whole body. Starting with the incisors, it provides guidance and stability to the temporomandibular joint (TMJ), followed by adjustments to the molar table surface to provide anatomically correct inclination. 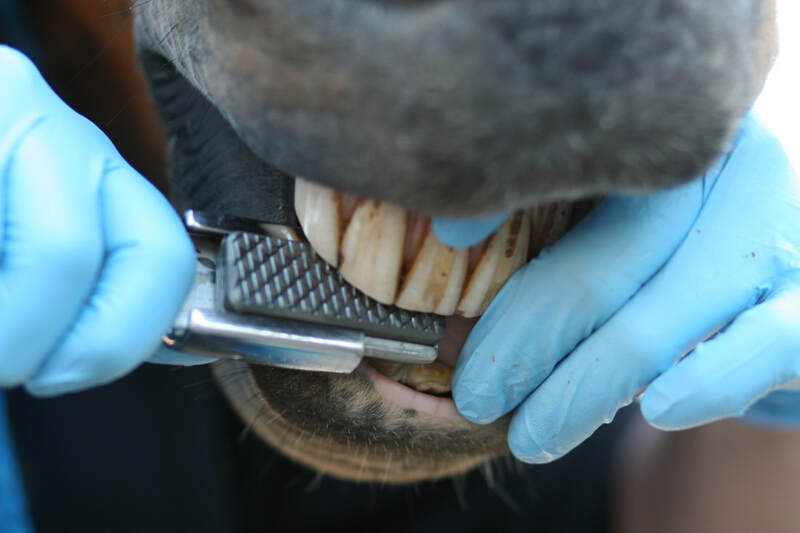 By adjusting the inclination of a horse's dentition, the horse gains a complete and natural movement of its jaw*. This balances its TMJ and maximizes surface-to-surface contact between teeth, allowing the horse to maintain or regain its full, natural bodily function. * For the average horse, this allows its mandible complete lateral motion (side-to-side) and 3-4mm of anterior/posterior motion (forward and back). 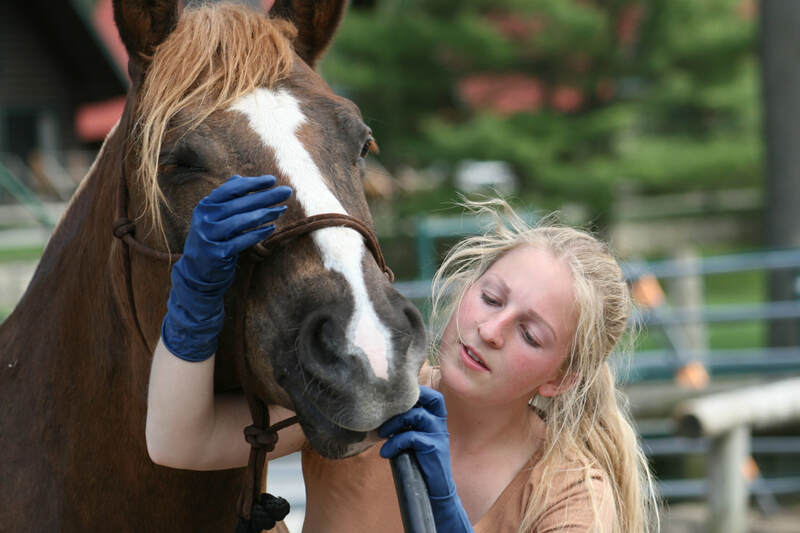 There are certified neuromuscular horse dentistry practitioners across the United States and Canada, as well as in Russia, England, Kazakhstan, Norway, Belgium, Holland and Portugal. Contact us to locate a certified practitioner near you. Research, publications, and continuing education by and for certified practitioners around the world are the cornerstones of neuromuscular horse dentistry, and are what continue to provide the field of equine dentistry with the most up-to-date knowledge. Have more questions? Visit our FAQ page, or contact us!